Earlier this April, Youth Organizing (YO!) Disabled and Proud participated in the California Coalition for Youth’s Taking Action Conference, which is `dedicated to advocating and serving homeless and disconnected youth. Every year at this conference they take a moment to honor the service providers in the youth field that excel at supporting youth. This year they honored Allie Cannington, former YO! Volunteer extraordinaire, with the Susan Matheson Mentoring Award. When YO! started in 2009, one of our first volunteers was a young woman named Allie Cannington. Since then, she has gone on to do amazing work with youth including those that are disabled, LGBTQ, homeless, at risk of being homeless, and/or disconnected from services that they desperately need. Her devotion to youth issues was started with her work at YO! and the Youth Leadership Forum for Students with Disabilities. 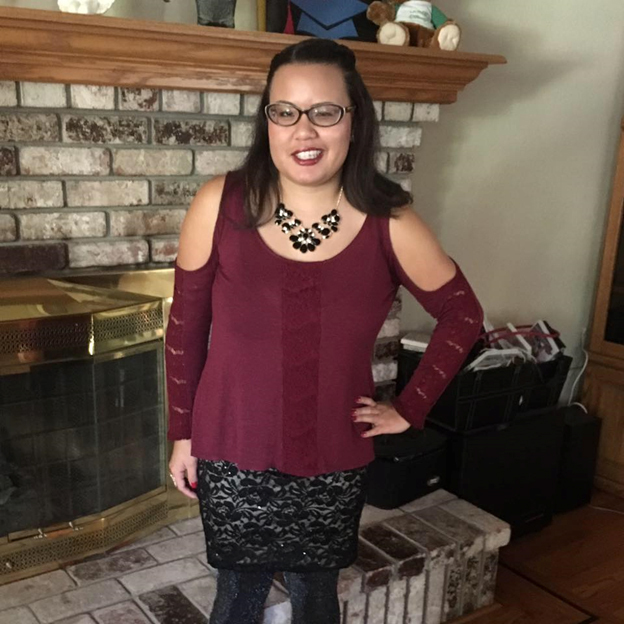 She took what she learned with both programs when she relocated to Washington, D.C. to study and work for five years on local, statewide, and national disability rights and social justice initiatives. Allie served as the Youth Transitions Fellow for the National Council on Independent Living (NCIL) where they led national and local efforts to empower and organize intersectionally marginalized youth with disabilities, particularly through self-advocacy, community empowerment, and employment development initiatives. 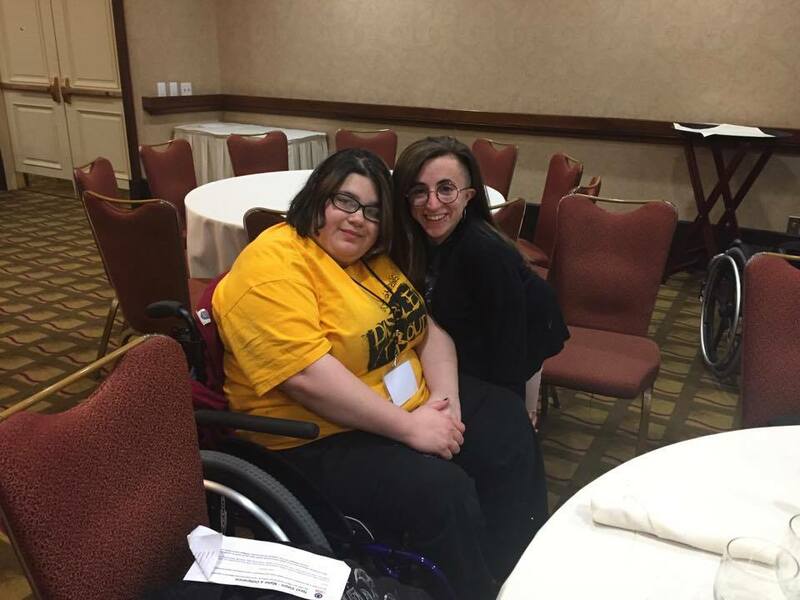 “The spark that was ignited when Allie began her disability justice journey as a youth continues to flourish with passion and purpose. The fire in the belly that now resides within Allie is what others see and feel as she demonstrates her leadership skills and impacts the lives of others who ultimately become a part of the growing circle of disability pride and community because of her. Allie Cannington now works at Larkin Street Youth Services as Youth Advisory Board Coordinator. 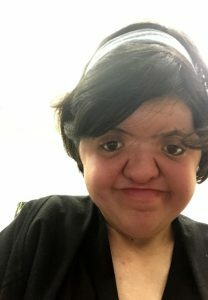 She brings the spirit of the disability rights community into everything that she does encompassing wholly with her life’s work the idea of “nothing about us, without us”. We know that Allie will continue to do amazing things and bring together multiply marginalized communities to form a more unified society through practices of understanding and listening. Congratulations on your accomplishments, Allie. We wish you nothing short of the best. Accommodations. What is your first impression of this word? Does it bring relief? Or does it bring back some unsettling memories? For me, it reminds of the memories of being curious and having contempt towards the word and the idea of having them. Prior to discovering my autism diagnosis, I did not know why I had accommodations nor what accommodations were. Accommodations – any change or adjustment to the way things usually are done that would allow an individual with a disability to perform job functions, or enjoy equal access to benefits available to other individuals. After discovering my autism diagnosis, I understood why I had accommodations but I still did not understand what accommodations were. So, what happened? Well, the accommodations were a part of my Individualized Education Plan (IEP), however, I did not use them. I aspired to be like my classmates who completed their school work without having any accommodations. I wanted to fit in. I never wanted to stand out. Besides, I was not prepared to answer some of my classmates’ questions because I still did not understand what accommodations were. I knew I had accommodations because of my disability, yet I could not explain what an IEP is. I thought that people may not like how I would get extra time on tests and they would say how unfair the system was. Most importantly, I did not want to be treated differently. When I went through the Youth Leadership Forum for Students with Disabilities, I gained a better perspective of what accommodations were. I am not going to lie, it took a while to rid myself of the ableist stereotypes that I had, especially when it came to accommodations. I remember internally rolling my eyes during my last IEP meeting when my former speech pathologist told me to sign up for my college’s disability services program so I get accommodations. Something as small as having extra time to take a test can be considered an accommodation. Eventually, I realized that I had to use accommodations. 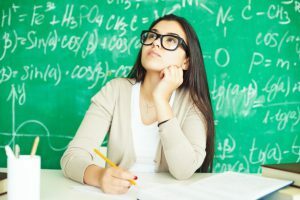 My epiphany occurred when I took my first math quiz during my undergraduate freshman year at my local community college. I knew the material, yet I was nervous because I heard my classmates talking about the quiz and saying how nervous they were. For those who know what autism is, I am going to tell you right now that the stereotype of how a/Autistic people do not feel empathy is a lie! I was still extremely anxious when I was taking the quiz. I honestly do not know how I got through that quiz but I made it through by trying to breathe. In the end, I did well on the quiz but I realized that I had to use my accommodations. The last thing I wanted was to become nervous each time I took a quiz or an exam. Don’t get me wrong! It is perfectly natural to be nervous! However, when your anxiety takes over your body to the point where you are unable to control it — that is when you realize that you have to find a way to calm your senses so you are able to succeed. In this case, the best solution for me was to take the quiz somewhere else. In the end, I immediately spoke with my math professor in regards to the quizzes and my test-anxiety. She accommodated me by letting me take the quizzes in the math and science division office prior to coming to class. This accommodation actually helped me and I ended up passing the class. I am grateful for having accommodations. If I was in a sticky situation similar to my math class scenario, then I am confident to know that I am accommodated. I learned that it is okay to admit that you need and do not need accommodations. Why did I say these two things that are contradicting each other? What I mean by this is how some people may need more accommodations than others, and there are some people that do not have and/or use accommodations at all. And you know what? That is completely fine. It is important that the person is comfortable with their environment, whether or not they need the accommodations. For me, the accommodations that I use the most are having extra test time, recording lectures, and sitting in front of the classroom. However, the accommodations I do not use so much are leaving the room and the app, Kurzweil Firefly. In addition, I do not have accommodations when I work or volunteer because I feel completely fine when I am completing my tasks. However, if I need accommodations then I will address it to my supervisors. Overall, we, as disabled people, have the choice to decide what works and does not work for us. We are capable of creating successful lives for ourselves, whether or not we have and/or use accommodations. Nevertheless, all of us must recognize how limiting accommodations are equivalent to the lack of accessibility. And you know what? Let’s just not just make accommodations specifically for disabled people but for everyone. 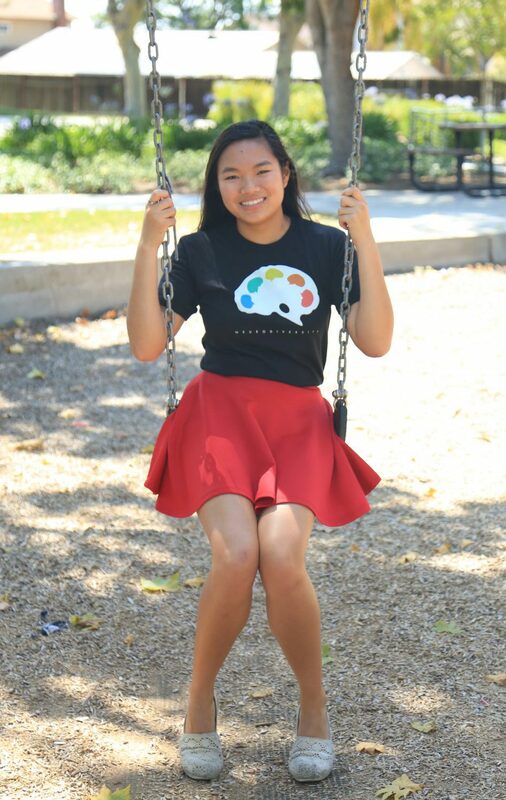 Leanne ​is currently pursuing higher education in hopes of becoming a teacher. When she’s not busy, she likes to write, watch lots of YouTube videos, and take naps. Everyone and their mother seems to have a blog, does the Internet really need another one? Absolutely! You may be asking, “What is a blog?” A blog is a place for people to share their ideas about something that is important to them, or something that they have personally experienced and want to share. A blog can be made up of words, pictures, or a video. Blog posts are placed on the same webpage each time a new story is added. That way youth on the Internet can visit the blog and see what other youth are talking about. Our Youth Organizing (YO!) 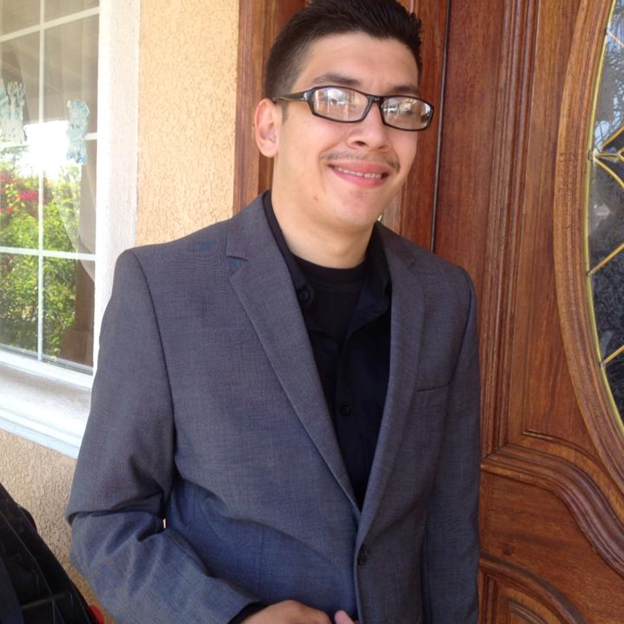 blog will be about all kinds of disability topics that youth may care about or want to write about. Many amazing youth with disabilities have blogs/vlogs/plogs (picture blogs), but it’s often only one person talking about several different things. The YO! Blog posts will be written from a variety of youth with different types of disabilities and lived experiences. Based on our conversations with YO! Members and other youth across the country, YO! has compiled a list of blog topics that youth want to hear or know about. Many of us have no one else in our lives who are also disabled that we can relate to, who understand what it’s like to be disabled in a world that isn’t always accessible and accepting of us. Many youth are looking for a place where they can discuss disability culture and what it’s like to be faced with ongoing disability related things. Unfortunately these are the kinds of topics and issues that we are not often encouraged to talk about through school or other systems that should be there to “support” us, but really want to fix, ignore, or take away our disabilities. The YO! 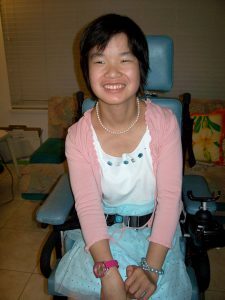 Blog is for all of the youth with disabilities out there who want to talk about real disability topics and how having a positive disability identity is okay (In fact, it’s cool!). If you’re a youth with a disability who wants to share your experiences with other youth, we invite and encourage you to submit a post. Show other people like yourself that we are not alone! New postings will be shared on a monthly basis, at minimum. Below is a list of blog posting guidelines for you to follow.